Red Sea Cruises – Big Savings! Red Sea cruises are generally very popular as they allow you to explore an area of the world that takes in several countries. The Red Sea stretches all the way from Egypt down past Saudi Arabia and Sudan, bridging the gap between Africa and Asia. As such it provides you with an opportunity to visit many different destinations, each with its own unique character and charm. So what can you expect when you book a Red Sea cruise? Let’s find out more now. Which ports of call can you look forward to visiting? Perhaps the best known port on a Red Sea cruise is Sharm el Sheikh. This has become a popular holiday spot in its own right, and many cruises will stop here for a period of time to allow you to explore the resort. You may even get the chance to take part in a spot of quad biking! Indeed if you are considering a cruise and stay holiday, where you add a traditional break onto the beginning or end of your cruise, a Red Sea cruise is ideal. Many people love staying in Sharm el Sheikh so it makes for the perfect combination, particularly if you love scuba diving or snorkelling. However there are other ports of call to look forward to as you explore the Red Sea. Port Sokhna is a popular destination as it is close to Cairo, enabling you to see the famous Pyramids. Other typical ports include Alexandria in Egypt, Aqaba in Jordan and the Suez Canal. To give you an idea of what you can expect when you head off on a Red Sea cruise, let’s take a look at a couple of typical itineraries. The first is a Thomson cruise to this part of the world, which covers eight days in total and departs from Sharm el Sheikh, taking a trip along the Red Sea before returning to Sharm el Sheikh on day eight. Here you would arrive at Aqaba in Jordan on day two, having a couple of days to explore the area and visit Petra. Day four will see you at sea, enjoying all the facilities your cruise ship has to offer, before arriving at Port Sokhna in order to explore Cairo. As you may realise if your geography is up to scratch, you can take time to visit the Pyramids here before moving on to your next port of call. In this case it will be the port of Safaga, to enable you to see Luxor and the Valley of the Kings. A longer fifteen night cruise to the Red Sea with Royal Caribbean takes a slightly different route, and as you may imagine it also offers more stops since the trip is twice as long as the Thomson one above. Here we start in Dubai in the United Arab Emirates, before spending several days at sea en route to Safaga. From there it is on to Sharm el Sheikh before heading on to the Suez Canal and through to Alexandria in Egypt. The final destination for this particular cruise is Barcelona in Spain, so as you can see there isn’t always a round trip involved. Finally let’s take a look at a typical itinerary for a Silversea cruise. The starting point here is Piraeus in Athens – ideal if you want to sample a Greek holiday before you hop on board your cruise ship. Again it takes in the popular spots of Alexandria, the Suez Canal, Sharm el Sheikh and Aqaba, before heading for Muscat in Oman and through to Dubai where you’ll disembark. The good news is the Red Sea area is a particularly popular one when it comes to cruises. 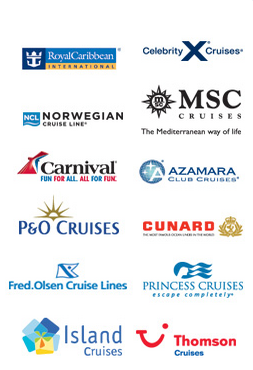 This means you have a wide choice of cruise lines to consider for your cruise to the Middle East. Silversea cruises offer a Platinum cruise that offers sixteen nights on board one of their ships in the Red Sea. Elsewhere Thomson Cruises offers a range of cabin options for seven day cruises, with inside outside and balcony options available. Balcony cabins tend to sell out first though, so if you want a balcony make sure you book quickly. One of the advantages of a cruise with Thomson is that they offer flights from a wide range of UK airports to Sharm el Sheikh and Hurghada which are the embarktion points for a Red Sea Cruise. Royal Caribbean is another major player in this area, offering fourteen or fifteen night cruises in the Red Sea. They too offer inside outside or balcony options on three of their ships. So in short, a trip to the Red Sea offers you the opportunity to see some of the world’s greatest and most breathtaking sights. You’ll also spend a few days at sea, able to enjoy everything your cruise ship has to offer you. So it makes sense to ensure you pick the best one for your needs. Bon voyage! To get the best deals on Red Sea Cruise holidays including offers that are exclusive to our VIP club, please fill in your details in the short form above. We’ll send you occasional emails with carefully selected cruise deals, many of which are never offered to the general public. We don’t share your details with anyone else and you can unsubscribe with one click at any time.